The city will use this grant to improve water quality and reduce the number of beach closures at Crescent Beach. 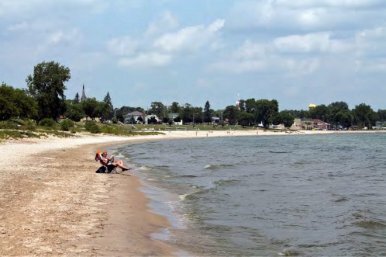 This two-mile long beach in Kewaunee County is a popular destination for both residents and visitors and is important to the local economy. Water quality at Crescent Beach, however, is currently poor and the beach is on the state’s impaired list due to high levels of bacteria and outbreaks of cladophora.